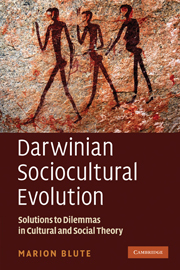 « What is individual quality in evolutionary theory? Kronfeldner is a critic who is opposed to the enterprise. For more proponents (from 2011) perhaps see: Zarella, D. (2011) Zarrella’s Hierarchy of Contagiousness – Bentley, A, Earls, M, O’Brien, M. J. (2011) I’ll Have What She’s Having – Ridley, M. (2011) The Rational Optimist – Scaglia, B. (2011) From Yuppies to Rickrolling: The Evolution of Cultural and Internet Memes and the Theory of Memetics – and Tyler, T. (2011) Memetics: Memes and the Science of Cultural Evolution.